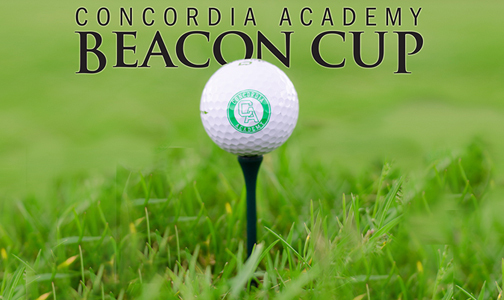 Join us for the 15th Annual Beacon Cup CA Golf Tournament, sponsored by the CA football team. It will be a day of golf, fun, and food. The football team is excited to host this event and watch you compete for the highly coveted Beacon Cup at a beautiful championship course. If you don’t have a foursome, don't worry! Sign up and we will find you a group. Click here to register online today and reserve your spot! Questions? Email Bob Wolf at bob.wolf@concordiaacademy.com or Michelle Kato at mwallerkato@comcast.net. Want to be a tournament sponsor? Click here for sponsorship details. You can also contact Bob Wolf to learn more: bob.wolf@concordiaacademy.com or 651-796-2688.